3rd Molar is a teeth present on both sides of mouth. It is one of the three molars, present on the most posterior side of three molars. 3rd molar is also known as wisdom tooth. Wisdom teeth grows at the age of 17 till 25. One wisdom tooth is present per quadrant of the human dentition. Most of the people have all four wisdom teeth. In rare cases, people do not have even a single wisdom tooth. During development of wisdom teeth, it can effect other teeth as well becoming impacted. So it is extracted before it occurs. Wisdom tooth extraction procedure is performed as an outpatient. Patient does not have any need to stay in hospital and can return home the same day. Before starting procedure, patient is asked for his comfort level in case of anesthesia used. Three types of anesthesia are offered I.e. general anesthesia, local anesthesia and sedation anesthesia. During surgery, dentist make a small incision on the gum to expose the bone and teeth. 1st step is the removal of bone which blocks the tooth. If dentist find it easy to extract it in pieces, then it is divided into halves for extraction. Tooth is removed and then the debris is removed. Stitches the wound and a guaze is applied. Anesthesia helps to avoid damage of facial nerve and parotid gland. Access flap and bone resection and odontotomy helps to avoid damage of periodontium of 2nd molar and lingual nerve. Suture helps to avoid infections in the periodontal 2nd molars after surgery. 3rd molar extraction shows complications but these complications are for not longer term but are for short time period. Some of the main complications associated with 3rd molar or wisdom tooth extraction are, Nearby teeth, jaw bone, nerves or sinuses may get damage due to incision. After surgery, infection may occur in wound due to the bacteria or the food particles trapped in teeth. Dry socket may be painful and bone may be exposed in case if the blood clot is lost from the site of surgical wound which is also called socket. 3rd molar or wisdom tooth extraction is the procedure with less complications. And the complications which occur, persist for very short time. So the recovery is fast. The gum tissues usually take 3 to 4 weeks for full recovery. And the inner wound which occurs due to bone extraction, will take about 6 weeks to recover fully. Recovery time varies from person to person and depends upon care plan. If any kind of infection occur in the surgical wound i.e socket, then the recovery time extends. In case of infection, antibiotics are prescribed to make it heal soon. To understand the use of CBD oil in tinnitus, we should be well aware of the disease i.e. tinnitus. Tinnitus is a medical condition in which person experience hearing problems. The functions of ear are impaired. The problem is in the nerves and vessels responsible for auditory service. This is not a life threatening condition and can be treated with CBD oil. 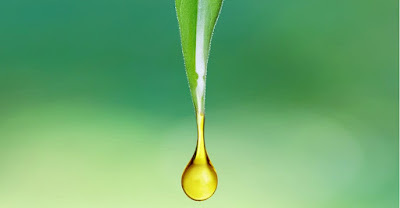 CBD oil is abbreviated as cannabidiol. Cannabidiol or CBD oil is listed as an oil having endless potential benefits. CBD oil is one of the cannabinoid in 113. It is found in marijuana plant. It itself is not a psycho active compound, in other words it will not activate mind after consumption. CBD also have many medicinal properties. In tinnitus, patient feel raging in the affected ear. A single dose of CBD oil can bring a change in this raging. As a patient said, she took three drops of CBD oil via sublingual route and the effect was not immediate. After some time, CBD oil started working and she started feeling relaxed. The next morning, raging sound was not there and ear was almost silent. Cannabis contains marijuana in it which helps a lot in treating tinnitus. It is also used for other diseases like epilepsy. Basically tinnitus is also called epilepsy of the ear that's why cannabis is recommended for its treatment. Cannabinoids are the drugs which have anti epileptic effects. But it shows its action in some cases and in rare parts of brain. A single CBD product containing oil have 0.3 percent of THC in it. CBD is legal in United States. CBD oil is available in various dosage forms i.e. from CBD powders to vape ready concentrate. It is also available in the form of plant tincture oil. There are various ways by which CBD can be administered. It is either taken orally, or Vaped or smoked. When it is smoked, CBD is absorbed in the lining of lungs. Another route of administration is sublingual route. By sublingual route, the CBD is absorbed directly in to the capillaries and show it's affect. As CBD oil is used for the treatment of tinnitus but it does not have direct affect on the disease. It has indirect affect by reducing stress and anxiety. When the stress level is down, patient feels relaxed and feels quiter tinnitus. CBD oil contains marijuana which is a muscle relaxant. So when patient administer CBD, he feels relaxed both mentally and physically. This is how tinnitus is treated. When we talk about it's Dosage, the effects of CBD are different at different doses. Like it has calming effect with muscle relaxation at lower doses. But at higher doses, patient feels slight pressure on head. It causes sedation. CBD also induces sleep in patient at higher doses. CBD oil does not show immediate effects in patient. Its action also depends upon the patient and dose. It has commutative effect and requires daily consumption of CBD. Spatulate fingers as the name indicate is a condition in which the fingers are of spatula shaped. Spatula shaped means the fingers and toes are square shaped from the tips. The thumbs are short in size and toes are also shortened. The finger next to the toe is unusually longer than toe. The shape of fingers can be defined as wide from the tips and become elongated moving down to the fingers. These type of fingers predict many things about the personality of person. Spatulate fingers are considered of great importance in palmistry. Palmistry is the study of hands. Spatulate fingers itself are the symptoms of disease named otopalatodigital syndrome. In this syndrome the fingers are of spatula shaped i.e. wide from the tips and moving down to the base, fingers become elongated. The toes and thumb of hands are shorter in size than usual. Due to shorter thumbs and toes, the fingers right next to them look abnormally large. The fingers have square shape from the tips. As it is the main symptom of otopalatodigital syndrome, so some other symptoms also occur along with it which are deformity of chest and hearing loss. There are many reasons behind the deformity of fingers i.e. spatulate fingers. But the most common cause reported behind the spatulate fingers is otopalatodigital syndrome. In this syndrome, the fingers become spatula shaped i.e. wide from the tips and elongated while moving downward to the base. Other than otopalatodigital syndrome, following are the minor causes behind spatulate fingers. Frontometaphyseal dysplasia, cenani syndactylism, ehlers danlos syndrome type progeroid, acroosteolysis dominant type, Costello syndrome, osteopathia striata, stevenson Carey syndrome, spondyloepimetaphyseal dysplasia type irapa, acroosteolysis keloid like lesions premature aging syndrome, spondylo occular syndrome and many other causes like that. 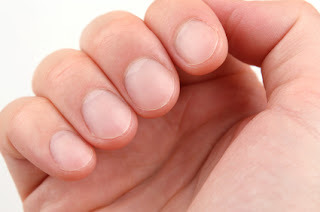 Spatulate fingers are the main symptoms of otopalatodigital syndrome. The treatment of otopalatodigital syndrome will not treat spatulate fingers because it is the deformity of the bones. Surgical procedure is the only treatment for spatulate fingers. With the help of surgery, the deformity can be removed and fingers are aligned. After surgery, the pain killers are prescribed to relief pain. 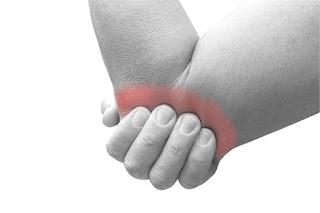 After surgery, regular exercise of fingers is recommended for faster recovery. Patient is advised to take rest for some weeks and then try to grip something with fingers for the regulation of movement of fingers and thumb. The shape of fingers tell a lot of things about the personality of a person. The spatula shaped fingers tell a lot of things like the flattened or spatula shaped wide end tips tell that the person have higher mind and it also reflects higher feelings. People with this type of fingers have good imagination power. These people take interest in finding something that can keep them up and occupied. They have boundless energy and their personality is not boring at all. Mostly these people crave for finding new knowledge and be up to date with time.